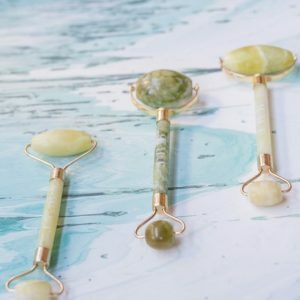 For those who know me well know I love crystal healing and natural beauty products and now I combine the two together by using this self message skin roller. 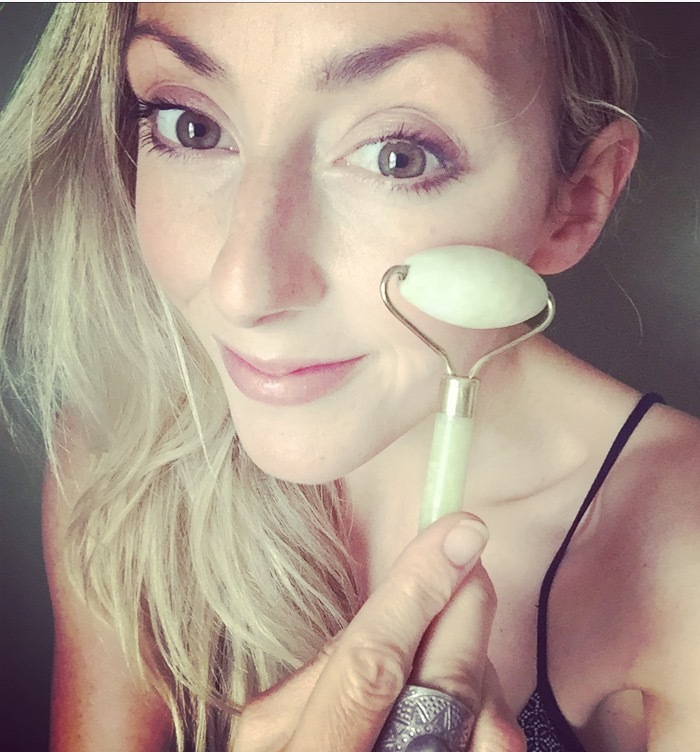 I make most of my own organic skin and body care products, they are Super nourishing and work amazingly with this gorgeous little tool that I’ve started using… It’s an ancient ritual of Self Massage~In Ayurveda it’s called Abhyanga and restores the balance of the doshas and enhances well-being and longevity. 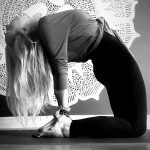 Regular Abyanga is especially grounding and relaxing for Vata dosha imbalances, but everyone can benefit from this practice. Jade rolling has been around for centuries, Women have been using them to tighten pores, promote blood circulation and to reduce puffiness and wrinkles. 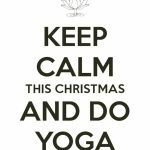 It’s a super relaxing ritual and the roller feels so cooling on the skin, or you can warm the stone up in hot water, this is very therapeutic and soothing…Jade has a naturally calming energy that balances the nervous system and guards against illness. I love using mine with homemade rose face oil. It’s got an earthy, healing scent to it and my skin just soaks it up. Jade is such a beautiful gem stone, it’s said to bless whoever it touches. It is also believed to promote wisdom, balance, and peace & a symbol of purity & serenity. Jade promotes self-sufficiency, releases negative thoughts and calms the mind…how beautiful! Massaging daily boosts blood flow and increases oxygen supply bringing nutrients and hydration to the skin cells. 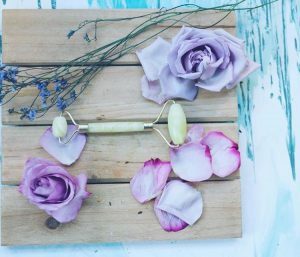 The roller can also be used for relieving stress in the face and it really helps to wake my tired eyes up after the lack of sleep from baby night feeds! I leave you with a little quote… and do let me know what you think of the roller!